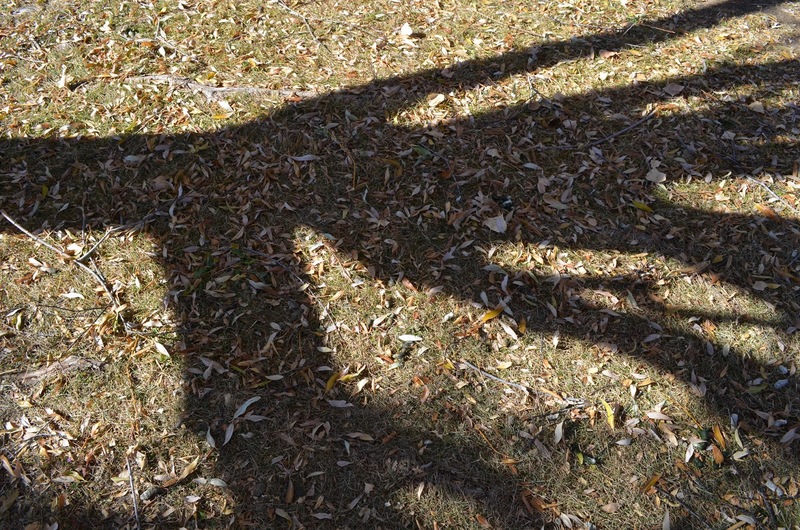 Have you noticed how long the shadows are in late fall? As I walk by the pond every morning, I'm mesmerized by the way they stretch across the dying grass. Each bare branch like a twisted, writhing finger turning what was once green and vibrant into layers of decay atop the frozen earth. I can't help but feel just a little depressed as I gaze across the garden. There are my sunflowers! Just last month they lifted their bright faces to the sun; now they're dry and barren stalks, the flowers have been torn to pieces by hungry squirrels. And the rose bush! In summer it climbed the side of the house, an explosion of vivid green, violet and magenta; now it's nothing but a tangle of vines and angry thorns. I was so inspired and renewed by the fantastic speakers and topics covered, that I came home thinking of nothing else. Consequently, my connection to the natural world was lost amid the dazzling lights, the perpetual cacophony of slot machines, the haze of cigarette smoke, and the manicured casino gardens, kept artificially green year round. That internal compass that wisely says, "It's winter now. Lay quiet and rest," was no where to be found. As my return flight descended through thick snow clouds, I was reviewing my notes and absorbing all that had occurred. Ready to dive into my next project, I lifted the window shade and was stunned at how harsh everything looks in the winter! It's always hard to return to reality when leaving Vegas. Even when the sun is shining, the shadows portend the bitter weather to come. 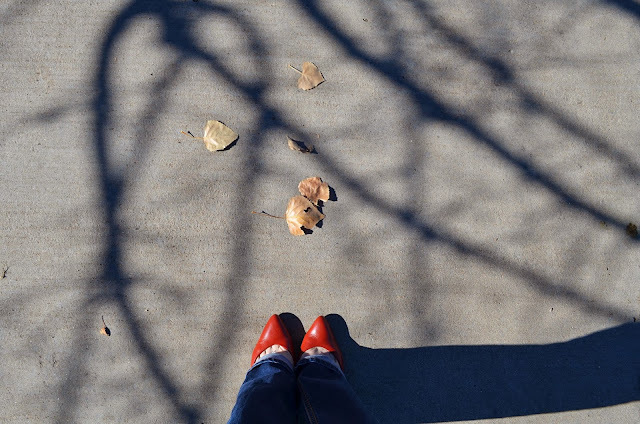 When I'm in a mood like this, not even my red shoes can cheer me up! I comfort myself in the kitchen, instead. With a mug of strong green tea and Edith Piaf on the radio, I fire up the oven and dig out the cast iron. 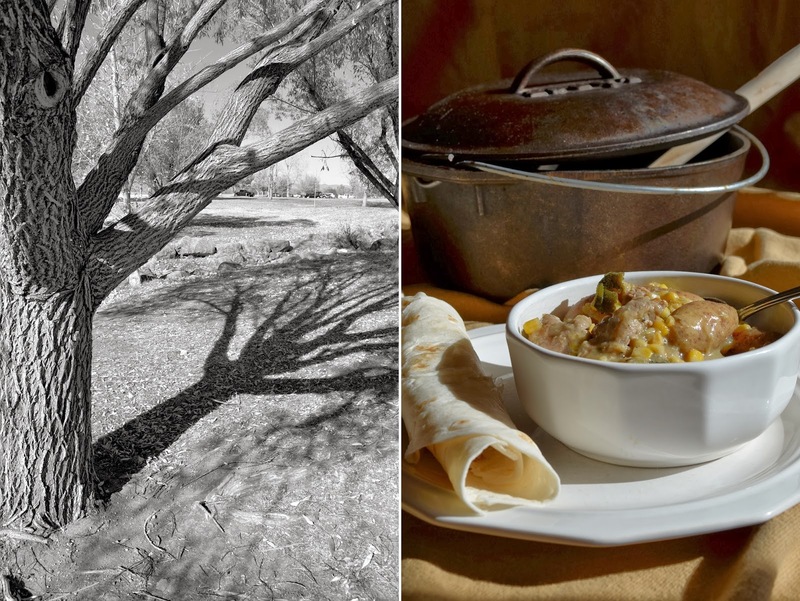 Soup, stews, and chili were made for weather like this. 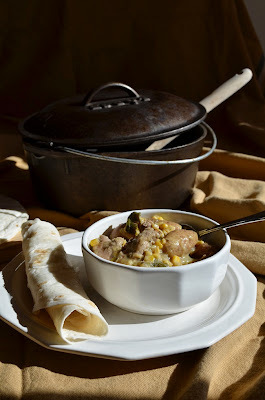 This stew is a fusion of my two favourite Mexican dishes: Posole, a celebratory dish that's native to ancient Mexico and is traditionally served on New Year's Day; and Calabacitas, a Mexican corn and squash casserole that's loaded with melted cheese. This is the food of my childhood, the flavors are those in which I always seek comfort. 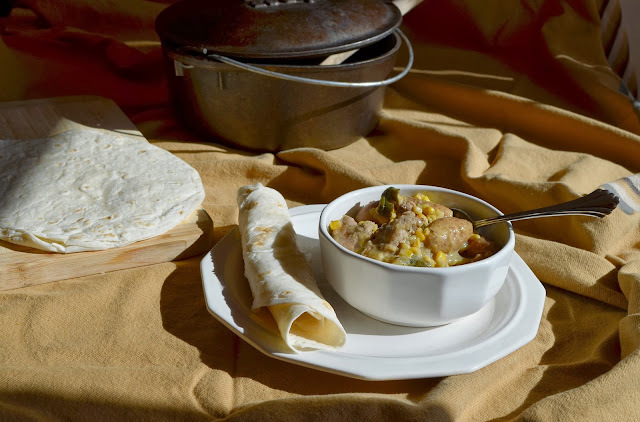 With warm and hearty stews at the ready, the long season of shadows doesn't seem quite so bleak. Preheat your oven to 350 F (180 C). In a large, cast iron dutch oven, heat the oil over med-high heat. Add the pork and brown in batches. Remove the pork to a bowl, turn the heat to med-low, and add the onions to the pan. Season with the salt and cook until soft. Add the garlic and cook until fragrant. Stir in the zucchini, potatoes, corn, cumin, coriander, and pepper. Cook until the spices are fragrant. Stir in the chicken broth and green chiles. Add the pork and its juices to the pan and bring to a simmer. Cover tightly and place in the preheated over. Cook 1.25 - 1.5 hours. To serve, ladle into bowls and garnish with a handful of grated cheddar cheese. Serve with warmed flour tortillas. Nothing holds its heat or cooks as evenly as cast iron! It really is the best material in which to cook! Looking for more cast iron recipes? You might this Savory Beef Stew with Root Vegetables and Sage. And if you like green chile, check out this Taos Green Chile and Chicken Stew - another variation on a classic.